Aardman Animations have unveiled a trailer for their new feature length film 'Early Man.' 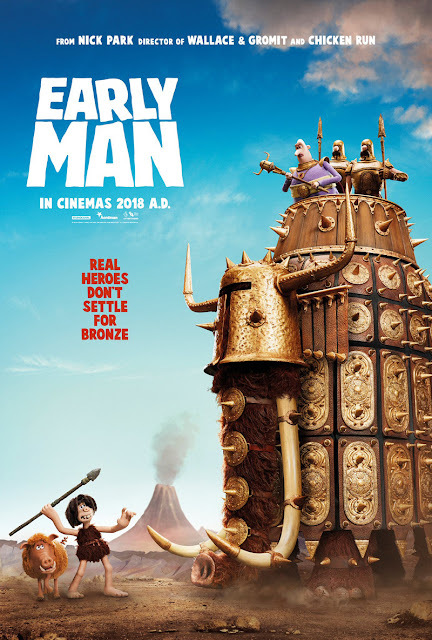 Directed by Nick Park it features the voice talents of Eddie Redmayne, Tom Hiddleston, Maisie Williams, Timothy Spall, Richard Ayoade, Selina Griffiths, Johnny Vegas, Mark Williams, Gina Yashere, Simon Greenall and Richard Webber. Set at the dawn of time, when prehistoric creatures roamed the earth, 'Early Man' ells the story of courageous caveman hero Dug (Eddie Redmayne) and his best friend Hognob as they unite his tribe against a mighty enemy Lord Nooth (Tom Hiddleston) and his Bronze Age City to save their home. 'Early Man' opens in Irish and UK cinemas on January 26, 2018, February 16, 2018 for the US.